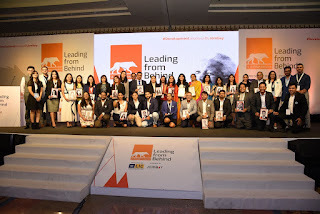 Mumbai, 31st January 2019: Jombay’s annual “Leading from Behind” summit on January 30,2019 at The Lalit, Mumbai set the tone for the HR fraternity and leadership in top Indian companies of the year. The Summit was glorified with the presence of eclectic and quintessential thought leaders, innovators, corporate leaders, and HR leaders. The event witnessed fireside panel discussions with speakers and leading figures such as Ms. Tara Kaushal, Mr. Abhilash Tomy, Ms. Sindhutai Sapkal, Mr. Rizwan Tayabali, Mr. Anuj Gosalia, Mr. Harssh Poddar, Mr. Mukund Rajan, Dr. Binish Desai, Dr. Sanjay Podder, Ms. Ashwini Deshpande, Mr. Uday Deshpande, Ms. Mini Menon, Ms. Kalyani Khona, Ms. Nirali Kartik, Major D.P. Singh, and Dr. Jagannath Dixit. Each speaker shared their own unique experiences and journeys with the gathering and a rapid fireside discussion on leadership themes namely Leadership Has Gender, Because Every Brand Has a Story, Being Human in a Digital World, The Art of Being Independently Together, Difficult Roads Lead to Beautiful Destinations, From Ashes of Conflict Emerge Ideas, and Excuses Don’t Get Results took place during the conclave with Leadership is a Journey and Leading from Behind as the master themes. In association with BSI (British Standards Institue) as the audit partners, Best 50 Companies were Awarded with the PCI (People Capital Index Awards). To make sure that BSI was able to gather unbiased data, they drove the anonymous PCI survey on social media (Facebook, Linked In, Twitter & on Job Portals). Post that, companies that had more than 30 mid-managers vouching for them were shortlisted. Following this, BSI conducted an audit – that led to the Top 50 PCI Winners! RBS Services India Pvt. 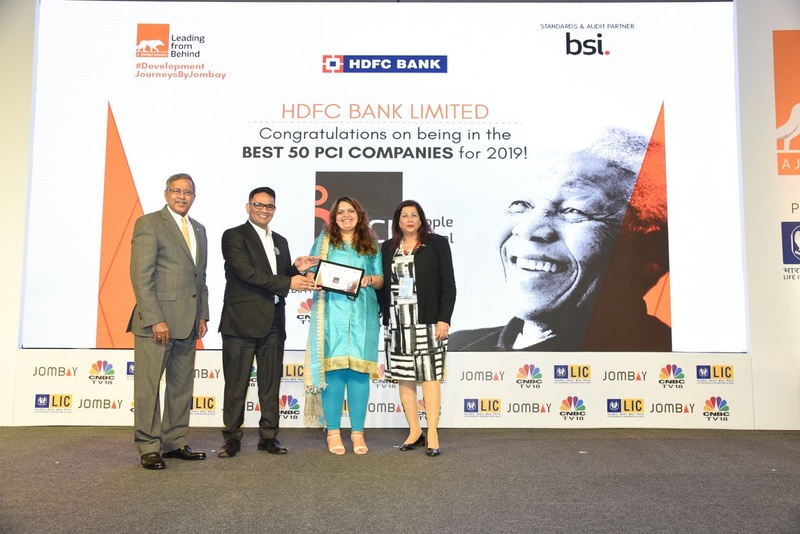 Ltd.
Chief Mentor, Jombay & Co- Curator of the Leading From Behind Summit, Ms. Roma Balwani said, “What is heartening to note is that Jombay has created an aspirational industry benchmark by instituting both the PCI list and HR 40under40 awards. The applicants moved to 1600 from 600 last years. We will continue to engage with the 100 leaders, with the Think Tank that will enrich the journey to 2020”, she added. The Leading From Behind summit was a starry affair and the event ended on a cheerful note with happy faces congratulating each other. The diverse panel discussion had key take away for everyone present at the summit. Jombay delivers end-to-end Talent Assessment & Leadership Development solutions to Identify, Engage, & Develop Talent. Working with 500+ customers across industries to help them identify, promote and develop their talent in a new-age fashion they have presence in India, UAE, UK and Singapore markets. Jombay drive lasting People & Business growth through Humanities & People Science. Companies use our products and solutions for HiPo Identification & development, Leadership development and Succession planning among others.